Straight from the Royal Opera’s sold-out production, PROTOTYPE presents the US premiere of the contemporary opera that has the entire world buzzing. Composed of 24 fragmented episodes, Sarah Kane’s chilling final play details the experience of clinical depression and reveals an individual’s struggle to come to terms with their own psychosis. Philip Venables’ greatly acclaimed operatic adaptation, directed by Ted Huffman and conducted by Richard Baker, explores the search for love and happiness and the struggle for identity through a fusion of opera and spoken text. 4.48 Psychosis brings a new resonance to the last creative utterances of one of the most courageous young British writers of her generation. 4.48 Psychosis is a production from the Royal Opera, Covent Garden, London. This production was first seen at the Lyric, Hammersmith on 24 May 2016. This presentation is made possible with support from the British Council. Subway: 6, R, N, M, F, or 1 to 23rd St. Bus: M1, M2, M3, M5, M7, M15, M18, M23, M101, M102 to 23rd St. Accessible Seating and Assisted Listening Devices are available upon request. Please visit the BPAC website for more information on Accessibility. Philip Venables’ (Composer) music is often concerned with violence, politics and speech within concert music and opera. 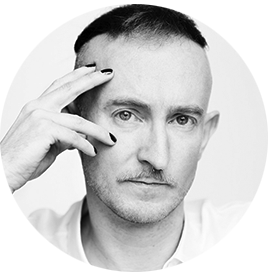 He is described as “one of the finest composers around” (Guardian) and his work as “brutally effective” (Times), “original and intelligent in both form and content… reminiscent of Matthew Barney’s Cremaster Cycle” (Exeunt Magazine) and “brilliant, extreme work that grips like a vice and won’t let go” (Guardian). He collaborates extensively in cross-media work, including with artist Douglas Gordon on Bound to Hurt (HAU Theater Berlin, Kampnagel Hamburg, Theater Basel), with drag/performance artist David Hoyle on Illusions (London Sinfonietta, UK New Music Biennial), The Gender Agenda (London Sinfonietta) and sound installation Canal Street (Manchester International Festival/Manchester Camerata) and with violinist Pekka Kuusisto on Venables plays Bartók (BBC Proms/BBC Symphony Orchestra). His debut album Below the Belt was released on NMC in 2018: “unmissable… music of forensic clarity and visceral force – but also great tenderness and generosity” (BBC Music Magazine). Philip was born in Chester in 1979 and lives between London and Berlin. 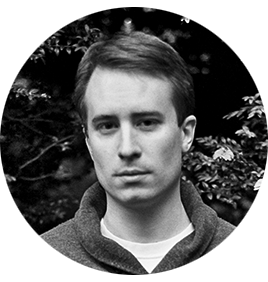 He was a MacDowell Fellow with director Ted Huffman in 2017, Doctoral Composer in Residence with the Royal Opera House and Guildhall School of Music & Drama 2013–16 and a Soundhub resident at LSO St Luke’s 2013. He studied at Cambridge University and then with Philip Cashian and David Sawer at the Royal Academy of Music, which elected him Associate (ARAM) in 2016 for his significant contribution to composition. Philip was awarded an AHRC grant for Ph.D research into speech, violence and music at the Royal Academy of Music from 2012-13, and completed his doctorate at the Guildhall School of Music & Drama with Julian Philips and James Weeks. He is a director of the agency Bright Ivy Ltd.
Olivier Award-nominated Ted Huffman (Director) recently revived his production of 4.48 Psychosis (Sarah Kane/Philip Venables) for the Royal Opera House, a show that won the 2016 UK Theatre Award for Achievement in Opera and additional nominations for a South Bank Sky Arts Award and an RPS Music Award. During the 2018-19 season, Ted’s productions include Salome (Cologne), Madama Butterfly (Zurich), Rinaldo (Frankfurt), Il trionfo del tempo e del disinganno (Copenhagen, Malmö), and A Midsummer Night’s Dream (Montpellier). Past work includes the world premieres of Arthur Lavandier’s Le premier meurtre (Lille) and Luke Styles’ Macbeth (Glyndebourne, Royal Opera House), the European premiere of Ana Sokolovic’s Svádba (Aix-en-Provence, Angers-Nantes, Luxembourg, Ljubljana), Les mamelles de Tirésias (La Monnaie, Aix-en-Provence, Dutch National Opera, Juilliard Opera, Aldeburgh Festival), and Der Kaiser von Atlantis (Central City Opera, Juilliard Opera, Greenwich Music Festival). Ted studied Humanities at Yale University and apprenticed at San Francisco’s Merola Opera Program. He was a MacDowell Fellow with composer Philip Venables in 2017. They are currently embarking on a new commission. 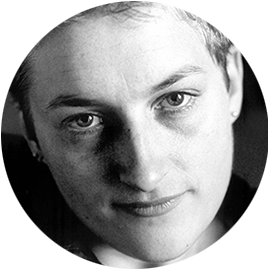 Sarah Kane (Writer) was born in 1971 and died in 1999. Her first play, Blasted, was produced at the Royal Court Jerwood Theatre Upstairs in 1995. Her second play, Phaedra’s Love, was produced at the Gate Theatre in 1996. In April 1998, Cleansed was produced at the Royal Court Theatre Downstairs and in September 1998, Paines Plough and Bright Ltd produced Kane’s fourth play, Crave, at the Traverse Theatre, Edinburgh. Her last play, 4.48 Psychosis, was given its premiere at the Royal Court Jerwood Theatre Upstairs in June 2000. Her short film, Skin, produced by British Screen/Channel 4, was first broadcast on Channel 4 in June 1997. Sarah Kane’s plays continue to be regularly performed around the world, particularly in Europe, Australia and South America. Notable productions include the Royal Court Theatre’s revivals of Blasted, Crave and 4.48 Psychosis in 2001, the New York premiere of Blasted at SoHo Rep in 2008, and Sean Holmes’s revival of Blasted at the Lyric Hammersmith in 2010. More recently, in 2015, Sheffield Theatres mounted a Sarah Kane Season with full productions of Blasted, Crave and 4.48 Psychosis and semi-staged readings of Phaedra’s Love and Cleansed. In February 2016, Katie Mitchell directed a new production of Cleansed, marking Kane’s debut at the National Theatre. 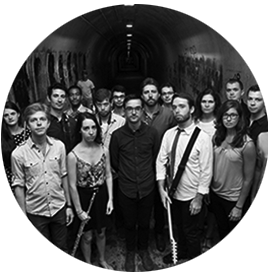 Contemporaneous (Ensemble) is an ensemble of 22 musicians whose mission is to bring to life the most meaningful music of the present moment, and to expand the collective imagination of what is possible. Recognized for “ferocious, focused performance” (The New York Times) and for its “captivating and whole-hearted commitment” (I Care If You Listen), Contemporaneous performs and promotes the most transformative work of living composers through innovative concerts, commissions, recordings, and educational programs. Based in New York City and active throughout the United States, Contemporaneous has performed for a wide range of presenters, including Lincoln Center, Park Avenue Armory, PROTOTYPE Festival, Merkin Concert Hall, MATA Festival, St. Ann’s Warehouse, and Bang on a Can. The ensemble has worked with a wide range of artists, including David Byrne, Donnacha Dennehy, Yotam Haber, Dawn Upshaw, and Julia Wolfe. Contemporaneous has premiered more than 120 works, many of them large-scale pieces by emerging composers. Through its commissions and readiness to play challenging music, the ensemble encourages composers to take risks and defy constraints. Moreover, through an expanded awareness of what music can be and do, Contemporaneous seeks to foster a culture of radical empathy, empowering greater understanding between diverse communities through music.